Everyone enjoys a Butterscotch Cake. 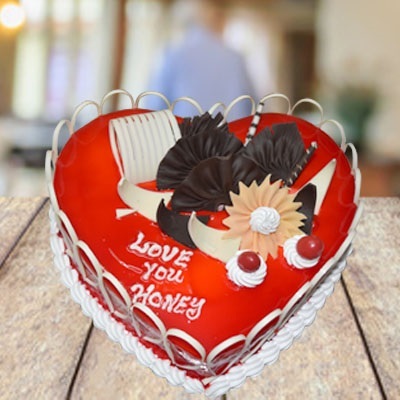 Send this heart-shaped freshly baked Cake to your loved ones. This cake is suitable for Birthdays, Anniversaries, occasions etc. Celebrate any occasion with this enticing cake with your loved ones ,any day wherever in and around Ap and Telangana Sameday and Midnight deliveries available.